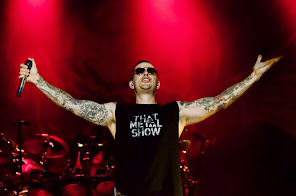 M.Shadows: Hey there! How are you? I've been listening to Avenged for years and saw you guys for the 11th time this past summer. Has the idea ever been tossed around to do a set that incorporates a full album? The 10th anniversary of City of Evil is around the corner and there are plenty of songs from that album that would be a dream to hear live! Thanks for taking the time to answer our questions! Hope all is well and see you whenever you're even kind of around Philadelphia. Take care!